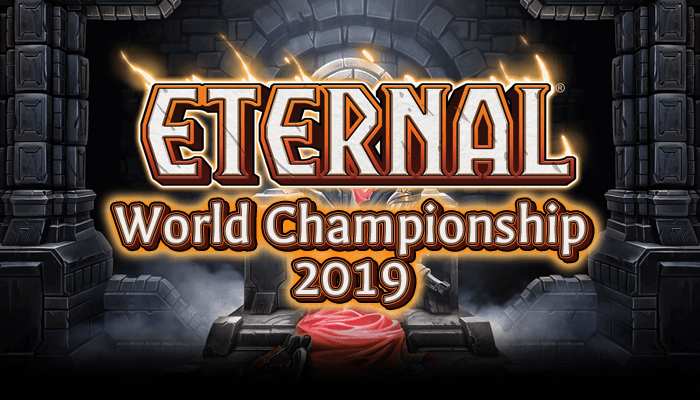 The Omens of the Past have finally arrived, and we here at RNG Eternal are just as excited as everyone else. I can’t wait to play with every one of these cards! However, I am going to delay my grinding to bring you a complete constructed set review! Today is Fire + Praxis, then tomorrow morning Time + Xenan and Justice + Hooru tomorrow night, followed by Primal + Skycrag and Shadow + Argenport + Neutral on Sunday. If you are just looking for some decklists for starting out be sure to check out my “Hot Takes for Filthy Netdeckers” article. I am going to be recording a podcast with SirRhino very soon to give our review of the new cards for draft. Lets jump right into the rating system I am going to be using! Edit: upon realizing that these set reviews are a lot harder than they look, and that I want to actually like eat and sleep and stuff, I am revising my schedule to 1 release a day. Sunday is Justice/Hooru, Monday is Primal/Skycrag and Tuesday is Shadow/Argenport/Neutral. Thanks for reading! ★ Seems like a very solid anti-aggro card for some decks to have access to, but this feels a little too low-impact for me to be excited. ★★★ It is hard to compare the powerlevel of a card like this with Ornate Katana without having played with warp. Katana is much better in your opening hand, while Shiv is much better any time after that. Since it is close and Katana is about a 3 I feel like Shiv is the same. I don’t think Forge decks will want to play this, but it is free, which is something. ★★ Clearly this is insane on turn 1, and terrible almost every turn after that. Probably not where you want to be, between the card disadvantage, and the strange timing issues, but I give it the second token star because I am sure it is still going to kill people. ★★ Combat tricks are fairly popular in Eternal ranked relative to Magic the Gathering. This is not as good as Finest Hour or Rapid Shot, and the “attacking” clause is a big hit, but it is probably the best mono-fire combat trick. ★ Maybe we get a “quickdraw matters” deck one day, but until then, this card is garbage. ★★★I think this is the kind of card that Workshop Forge decks might actually want to play. You will see me talking about this a lot in this section of the review, but I am imagining a deck that is almost entirely Warp cards, and has the plan of just generating oodles of card advantage by playing multiple Warp cards a turn. Forge is obviously a key part of this, as it can save you tons of power over the course of the game, and if you have multiple in play you are basically cheating. I am not sure how these decks are supposed to be built in terms of curve. Do you want just anything with warp? Just all the cheap stuff? This has the potential to be a role player in that kind of deck, but it is hard to say. Without those synergies, I guess this is close to a Temple Scribe or Amber Acolyte in power level, which have seen a ton of play, so I think Blinkwolf will likely have a home. ★★ This is certainly not an exciting card, but overwhelm is very powerful if you are putting it on the right guy. Think about this with Groundbreaker! Certainly low impact, and not the kind of card most Fire decks wants, but it will show up on occasion. ★ I’m having a hard time imagining what kind of deck actually wants to play something this slow and clunky. 6 power for your first +1 attack to team is just way too expensive. ★★ This is probably playable in some token heavy aggro deck as a roleplayer/finisher. Similar to Burn Out obviously, although probably slightly worse. That is not much of an endorsement, but burn looks viable, and this could fit into that kind of deck. ★★ 2 damage draw a card for 3F at slow speed is OK, but this doesn’t quite reach that level. I could see a world where it occasionally shows up as a 1 or 2 of in near mono-fire decks, but this is certainly not a card I am ever excited about now. Maybe the Forge decks will just play literally anything with the word Warp on it, but I am suspicious of that. ★ You want relic weapons to be active before combat, so that you can clear the way. This is best after combat, which makes it ultra-bad. Don’t play it. ★ This is like a bad version of Grenadin Drone or Assembly Line. There might be some Grenadin payoff one day that makes this interesting, but that is not today. ★ I suppose there might be some self-mill 50 power meme deck that this would fit into. It seems unlikely that a deck of that kind will be top-tier viable. If you are trying to include this as flood insurance you are probably doing it wrong. ★★★ This feels like a role-player in the Forge decks. Play a couple of these and get a Forge in play and now your entire deck is free. There might even be other busted combos involving things like Haunting Scream or something. More powerful than most people realize I imagine. Still, if that deck doesn’t come together, this is a 1/1 for 3. ★ In a world where Righteous Fury no longer sees play, it is very difficult to imagine that Twinbarrel makes it. ★ Even if this were a 4/2 quickdraw all the time, I would not be interested. ★ This 5/1 would be very lucky to deal 5 damager per game, and will rarely trade for a full card. Just play Flame Blast of something. ★★★★★ One of the easiest rating in the set. This card is outstanding, and it is not hard to see why. The only question is where to put him. ★★ I have read this card like 10 times and I am still not sure what it does or why I would want to play it. Still, cost reduction is powerful, and there might be some combo deck waiting to be broken. Certainly a long shot. ★★ My main question with Outlands Brute is about whether mono-Fire is a popular deck, or whether it remains as a fringe player in the metagame. This grade is on the assumption it gets there. 2 stars might be on the generous side, but I want to give this Centaur a chance! ★ Though there is a chance that Strangers decks now have the pieces to work, I don’t think Swift Stranger is the card to really take them to the next level. Play Diogo or Bandit Queen or something. ★ This would need to come pre-ultimated for me to even look at it. As is, ol’ Thunderhoof is draft material only. ★ Cloud of Ash has seen very little serious ranked play. This is worse than Cloud of Ash in multiple ways. Warp is at its worst on situational spells. Not even close. ★ There is more than enough burn in Set 1 and Set 2 that you will never have to play this card. Gun Down gets voted down. ★ Pit fighter is back, and somehow worse than before? Still got that manly physique we all know and love. ★★ Pouncing Drake is the poster child of the kind of card that needs to be seriously considered for Forge decks. At base this is worse than Soulfire Drake, but may she has a home in a deck that can play her for 3 or 1? I will need to play with Warp a lot more before I make a hard judgement, but this is more likely a 4 or a 1 star card in reality. ★ A 2/4 for 5 that turns into a 4/4 for 5! SOOOO GOOD! I guess this could have “double double damage” otherwise known and “Canadian Damage”. Too much power for not enough stats overall. ★★The only bad news is that this card is not very good. We had a similar card in closed beta without warp, and it saw no play (outside LocoPojo decks). It kinda looks busted, but 6 power is just so much for an aggro deck. Maybe it does something in the Forge decks, or there is some other combo piece I am not thinking of, but this is likely just Shiftstone for now. ★ Even the art is bad! As I said earlier, maybe the Forge decks are literally willing to play anything with Warp, but 6 drops need to do a lot more than ping something for me to be interested. ★★ The only application that I can think of right now is as a finisher in a unit-free control deck. In a world where Kaleb’s Choice exists I would be suspicious of such a plan. There needs to be some application I am missing for this card to matter. ★ I could go through and name weapons that are better than this that cost less, but I hope that isn’t necessary. Pass. ★★★★ This card could end up being totally insane, or just a complete win-more. It shouldn’t be too hard to play this on turn 5 in most Fire heavy aggressive decks, and it could come down even earlier than that with an ideal curve. Pairs especially well with cards like Rally or Obliterate, as your burst damage powers out your dragon. Still, you should usually only be able to play it when you are already ahead, so I am holding back from the full 5 star grade. This is also spooky in multiples. ★★★★ That is a lot of stars for a glorified Humbug, so let me explain. First, this is an all-star in any tokens style deck. This is like a Temple Scribe that cost less, and has flying and charge! Imagine when this is a 3/3 or a 5/5! In the Forge decks this also seems like an easy include, given that it is free when you have a forge in play. This little cutie just seems like a solid role player! ★★★ That ability is not and ultimate. A 2/2 for 2 is clearly not good enough, but I think that ability is going to just take over loads of games. 5 is also a very aggressive cost on this ability. Not sure exactly how many you want to play in which deck, but you should seriously consider just jamming 4 in some tokens decks to try it out. Edit: on first reading I thought this gave permanent +1/+1 rather then temporary. I have downgraded it by a star after I realized this. This is what I get for rushing out the set review. ★★★★ She honestly does not excite me, but you can’t expect that much from a 3-drop. I expect that almost every Praxis deck will play her, but it is not like Champion of Impulse is the reason to be in Praxis. Her score is really a function of Praxis having a dearth of good 3-drops. ★★ 2/2 for 3 is obviously wildly overcosted, but this is the kind of card that needs to be considered in a dedicated Forge deck. Cheap cards like this let us rip through our deck and dump it onto the board. I am still not confident that I understand how these deck will work, but this seems like it could be a role play in that kind of deck. ★★★★ Praxis doesn’t usually get nice things like Silence. That is kind of Combrei’s thing. Not being able to hit face is clearly a downside, but I imagine most Praxis decks will play some number of copies. The fact that this is a fast Silence effect is particularly interesting to me. ★★ This seems like a worse Find the Way in most situations. I suppose some Fire-splashing Vodacombo deck might be interested, but there are probably better options. The second star is a hedge against this fitting into the Forge decks, but this card has a lot of room to go down. ★ I don’t think Strangers has the tools to break into the meta in a major way. This seems like it might be a player in a good Stranger deck, but I still don’t think it is there. ★★★★★ Extremely powerful. Base stats of 3/5 charge for 4 is just a little short of “good enough”, but the ability is extremely powerful. I can see him fitting in straight aggro to big midrange decks. Works well with Warp, and I could easily see this as a component of the Forge decks. Total baller. ★★★ We have certainly received a good dosage of attachment hate, but Shatterglass Mage might be the best if your objective is really hosing attachments, though she is not outstanding at much else. As many have pointed out, the 3 health on a 5 drop is mighty suspicious, but she has the potential to be an on-board 3-for-1 if the stars align. Taking into consideration her narrowness, but her effectiveness in that window, she seems like a 3 star card to me. ★★ The two choices are both overcosted by 2 rather than overcosted by 1, which makes this card very inefficient. There might be a tokens deck that wants this effect as an extra rally (and a back up of 2 1/1s), but I am not excited. ★★★★ When I first considered the hypothetical of a turbo-warp deck I imagined that this kind of ability would be on a unit, which made it seem like the deck would be incredibly weak to sweepers, and as a result it would be a little too fragile. With Workshop Forge some of your enablers are safe from Harsh Rule, making this deck very interesting. Cost reduction is powerful, but Forge is obviously only going to fit into a narrow kind of deck. 4 stars is based on the assumption that DWD tested this to make sure with was both safe and playable, but this card could easily be broken at some point in the future. ★★★★★It is hard to imagine a Praxis deck that would not play this card. If you Warp this in and kill a unit it is a 4-for-1 or something? This is like Sandstorm Titan, Mystic Ascendant and Torch got up to something ill-advised, and this was that child. Possibly the best card in the set, if not the game, if you ignore the just stiff influence requirements. If you can’t figure out why this card is great, I can’t help you. ★That is a lot of power for not a lot of stats. Pretty hard to imagine this seeing any serious play. ★ When I saw this card before the Legendary Event I was suspicious, and when I played against it those suspicions were confirmed. Seems like a worse Great Parliament on all fronts. There is always a chance that Set 3 gives enough support to revisit this card, but for now I am not looking to brew with this clunker. Check out the premium. It is pretty sweet. Be sure to check in tomorrow for Part 2: Time and Xenan, as well as comment on Reddit about your thoughts on the Fire and Praxis cards!! Literally the first thing I did after opening my packs was build a Stonescar Excavator self-mill 50 power meme deck. I won’t claim it’s great, but it’s hilarious.